VANCE, Ala. - The president and CEO of Mercedes-Benz U.S. International, Jason Hoff, showed off the first M-Class SUV to roll off the line in Alabama as the plant in Vance marked that vehicle's 20th anniversary. 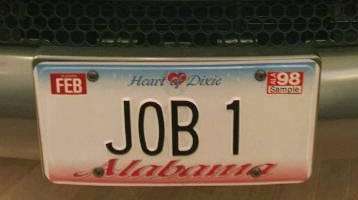 Its license plate reads "JOB 1" and its white body is covered with signatures of the 850 workers who assembled it in February 1997. News outlets report that the plant now employs 3,500 people and has built more than 2.5 million vehicles. Hoff says the plant built more than 300,000 cars last year. The company's next-generation SUVs will be made in a new $1.3 million expansion. Hoff says they're getting ready to install equipment there.